The only black rubber bangle which can start many conversations, provoke questions, and give a sense of competiveness between you and your peers. 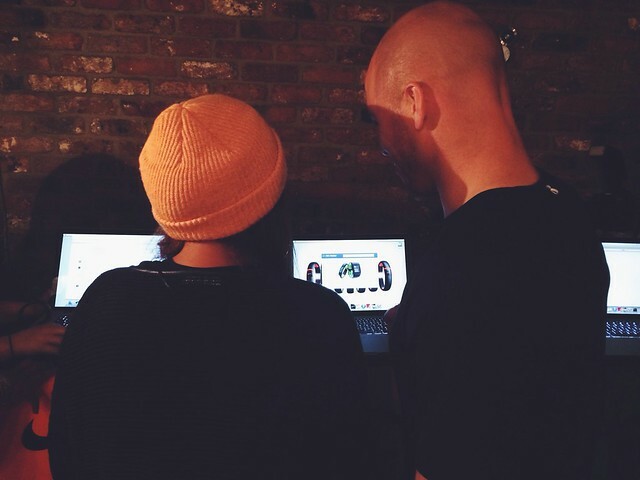 Yes, we can only be talking about The Nike FuelBand. Two years after launching the ground-breaking device, it is back with a couple of extra letters in the name, ‘SE’ (standing for Second Edition as I am told, way more dramatic than “2”) and a whole new, and more accurate, algorithm to measure the data. It has kept its slick black design, but now features a burst of florescent colour to ensure the FuelBand is recognisable, no matter where you go. Oh, and did we mention the limited edition rose-gold FuelBand? Yes, Nike have thought about all you fancy fashionistas too! 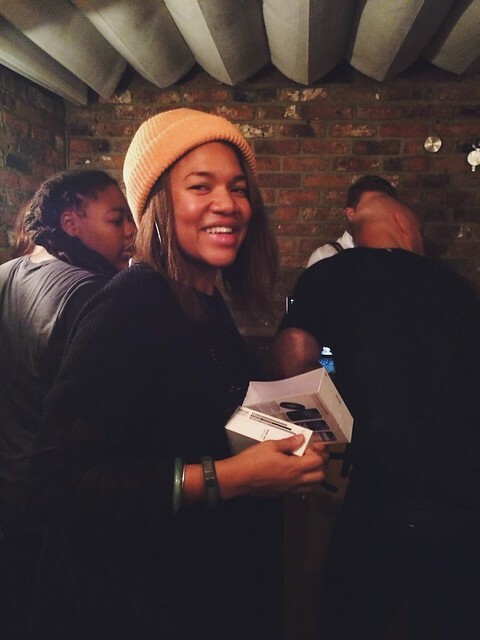 Earlier this month we got to the chance to take the FuelBand SE for a spin (literally) to put all its latest features into action at a FlyWheel class in Shoreditch House. More than just your bog-standard spin class, FlyWheel combines spinning with great music, weighted bars so you can work your arms too and mounted monitors for you to see real-time stats; allowing you to monitor resistance, RPMs, total workload as well as giving you the chance to compete pedal power against other cyclists. 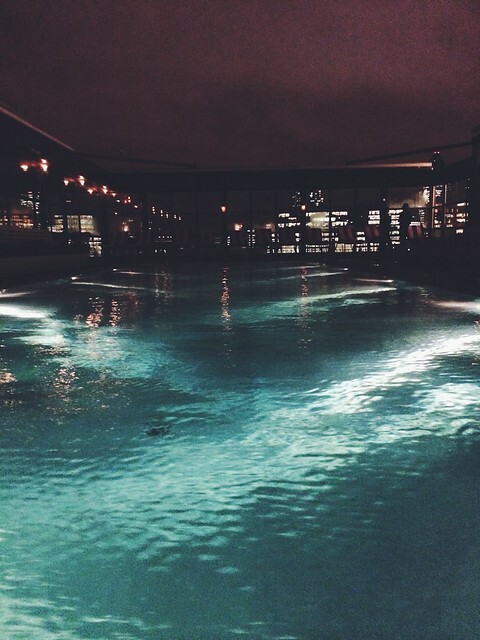 FlyWheel comes all the way from the US and has landed itself in a cushy studio in the exclusive Shoreditch House. So, basically if you don’t have a membership the chances of experiencing FlyWheel is really unlikely, but fear not! 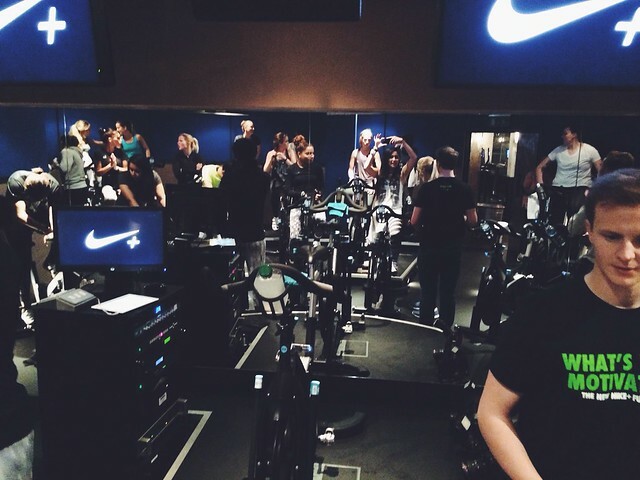 We’ve got you covered with these other great UK based Spinning Studios which are based on a similar concept. So, what exactly is a FuelBand? For those of you who aren’t that familiar with it, it is basically a device built to get the everyday person to move more, and to live a healthier, more active lifestyle. Using its very own ‘Fuel’ metric (so no it is not calories or steps, but you can see that too! ), the FuelBand tracks your day’s activity by an accelerometer, scaling it from red to green. You can set yourself a daily ‘Goal’ to earn a certain amount of fuel, incorporating an element of gamification to the device to encourage you to reach your goal, every day. So, what’s new with the FuelBand SE? There are plenty! Everything from the fit (it’s a bit snugger), the colours (too much choice), a bigger and better Nike+ FuelBand iPhone app (taking up too much memory), Bluetooth connectivity (rinsing your battery life on your phone AND FuelBand), and improved water resistance (shower? No probs!). But, what really counts is how the technology within it has changed. Here are a few of my favourite features. Sessions The issue I had with the original FuelBand was its inaccuracy. As a fairly active person, things such as yoga, cycling and spinning was often unaccounted for when it came to earning ‘Fuel’. These types of activities don't require as much movement as running for example, so in the FuelBand world it’s appears as if you haven’t actually done much, therefore not earning many Fuel points. Hearing that they have improved this by adding the Sessions feature got a massive “YES!” from me. Holding and tapping once, starts of a ‘session’ (a blinking light in the top right corner lets you know when a session has started) and it is easily ended by holding and tapping once again. Sessions allows you to track specific activities in your day, which you can then tag and mark on the Nike+ FuelBand iPhone app. By tagging the session, it will calibrate with Nike’s set algorithms for that exact activity – giving you a more accurate reading of how many FuelPoints you have earned. A full list of types of activities that qualify for a session can be found here. If your activity is not on the list, you can add it yourself and as more people start taking part in it, Nike should eventually be able to work out how much fuel you should be earning for that specific activity. So yes, yoga now counts, so does cycling, partying, weightlifting, cooking, etc...! 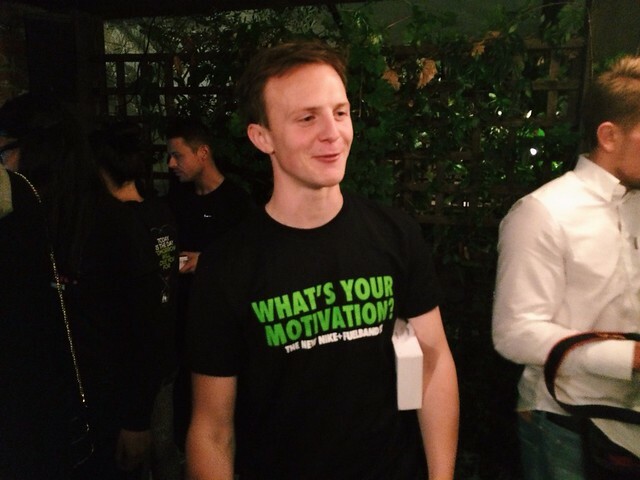 Groups Sports and fitness for us has always been a social thing, and something we do with our friends, which is why the Groups feature really appeals to us - who doesn't love a bit of friendly competition? 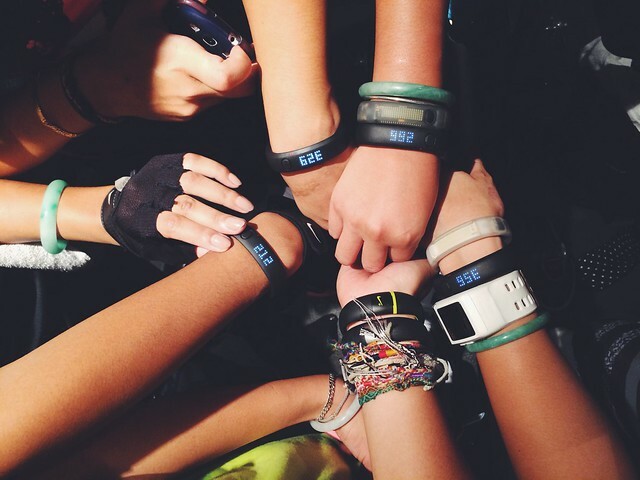 Connect with your FuelBand buddies and start a group to give each other a little push and something to work towards - for all those moments you can't be together. You can also share pictures, your achievements, cheer each other on and essentially work towards the group goal virtually. Or, you could use it to spy on your friends who are pushing that little bit harder than you! More Personalisation Tech improvements aside, we are very fond of the added personalisation to the FuelBand. "Just Do It Rachel", "Happy Birthday Rachel" - you can say we are easily please, but it's all the little things that count. It's A Watch! Yes, it's always been a watch, but seriously, who wants to tap a button 3 or 4 times just to see the damn time? There have been many occasions when I've been on my bike and I've struggled to see the time just because I had to tap so many times. Nike have fixed this issue with the Double Tap For Time feature, much more efficient. Those are my current favourite new features, you can find out more about the other features here. What are your favourite SE additions? 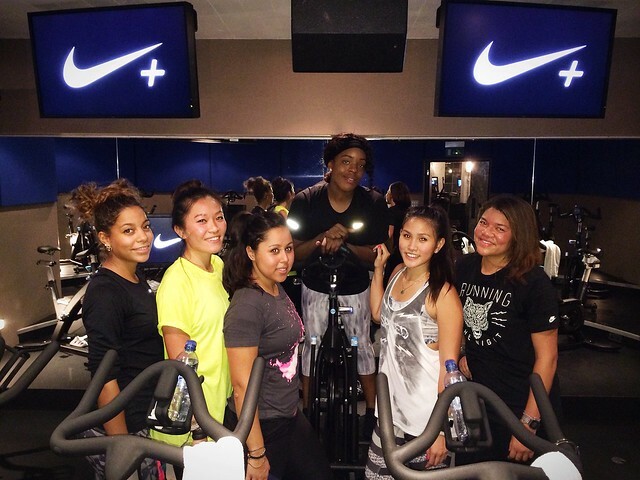 Here are a few pics from the night with our lovely instructor Karla - girl makes you WERK on the bike!